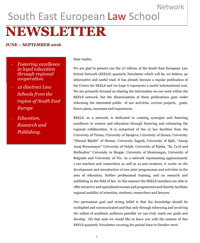 The SEELS Newsletter is a quarterly edition which is regularly prepared by the Centre for SEELS, containing information on the current activities, projects, publications, etc., which are implemented by SEELS. 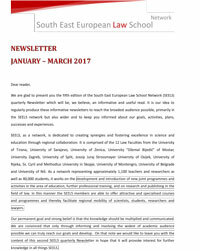 It also includes information on our plans for the future developments, our future projects and planned activities. 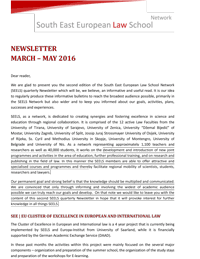 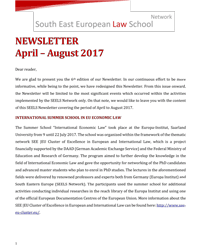 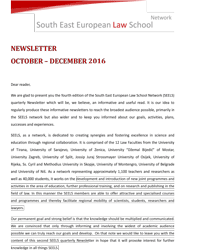 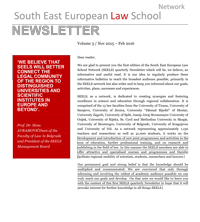 The Newsletter is envisaged to be a useful and informative read, and it is our hope that it will ignite a new, fresh interest and participation in the SEELS network and its work.